The most recent body was discovered in the grease dumpster behind a Burger King. Dismembered. Shoved into two garbage bags and lowered into the murky oil. 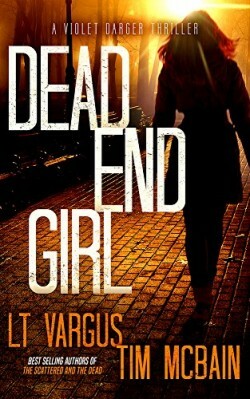 Now rookie agent Violet Darger gets the most important assignment of her career. She travels to the Midwest to face a killer unlike anything she’s seen. Aggressive. Territorial. Deranged and driven. Another mutilated corpse was found next to a roller rink. A third in the gutter in a residential neighborhood. These bold displays of violence shock the rural community and rattle local law enforcement. Who could carry out such brutality? And why? Unfortunately for Agent Darger, there’s little physical evidence to work with, and the only witnesses prove to be unreliable. The case seems hopeless. If she fails, more will die. He will kill again and again. A page-turning thriller packed with heart-stopping suspense. Fans of John Sandford, Jeffery Deaver, Karin Slaughter, and Lisa Gardner should get to know Violet Darger.